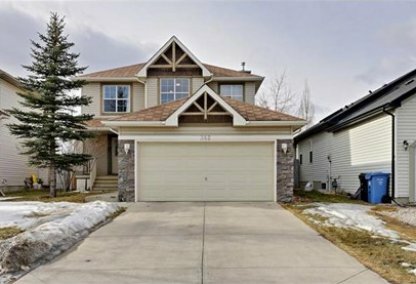 Find the newest Somerset homes for sale in Calgary! Situated at Calgary’s southern edge is the Somerset residential neighborhood. 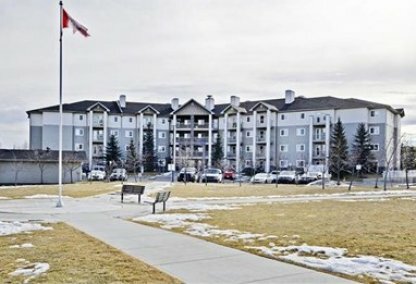 The area is nearby the Bridlewood community and the Macleod and Spruce Meadows Trails. The neighborhood has a total land area of 3.4km2. For information about Somerset homes for sale or to schedule a personal home or condo showing call your Somerset Calgary real estate team today. Somerset housing market statistics: As of April 25, 2019 there are currently 31 properties for sale in Somerset listed as active, with an average asking price of $358,046. The highest-priced property is $589,800; the lowest priced property can be purchased for $159,900. Somerset neighbourhood listings have an average price of $263 per square foot, based on listings with 3.1 bedrooms, 2.7 baths, and 1,370 square feet of living space. Looking to sell or buy a home in Somerset Calgary? Call Justin Havre at RE/MAX First - 403.217.0003, your neighbourhood Calgary real estate team. We are Somerset real estate agents and experts on the Somerset housing market in Calgary. According to the 2011 census, the population of the Somerset community was estimated to be 8,401. Residential properties in Somerset consist of single-detached and semi-detached houses, apartments, and row houses. In a 2006 report, 89% of the residences were owned and only 11% were rented. Established in 1995, the Somerset neighborhood is considered one of the newest communities in the city. The neighbourhood belongs to Ward 13 and is represented by Alderman Diane Colley-Urquhart in the city council. Somerset home owners can enjoy convenient suburban living with several amenities like retail shops (Aldo Store, Shoe Company, Wal-Mart), restaurants (Phoenix Grill, Zeller’s Restaurant, Moxie's), fast food chains (McDonald's, Wendy’s, Domino's Pizza), and coffee shops (Starbucks, Tim Hortons, Second Cup) available within the neighbourhood. Residents can also enjoy the number of Somerset community facilities available, such as the water splash park, gym, and tennis courts. Access to some leisure activities like the Yoga Studios, Shawnessy YMCA, and Empire Cinema Theatres are also provided. With several pedestrian paths in the neighborhood, residents can enjoy biking, walking, or jogging anytime. Dog walking is also possible on paved pathways as long as the dogs are on a leash. Several day home and daycare services are also being offered within the community. Designed with enough open space, linear parks, recreation areas, and pathways, Somerset neighborhood is ideal for relaxed and comfortable community living. The community has two schools: the Samuel W. Shaw School and Somerset School, a public school. Access to the Bishop O’Byrne Catholic High School is also possible. Thinking of buying or selling a home in Somerset Calgary? Let our local real estate agents help guide you through the purchase of your next property, or to professionally negotiate the sale of your current home. As local Somerset real estate agents, we're experts on the market dynamics unique to the Somerset real estate. We'll get to work today! Contact Justin Havre at RE/MAX First - 403.217.0003 to learn more about buyer or seller representation. Planning to sell your Somerset home? Check out our home evaluation tool, where you can instantly view Calgary Homes Values online!